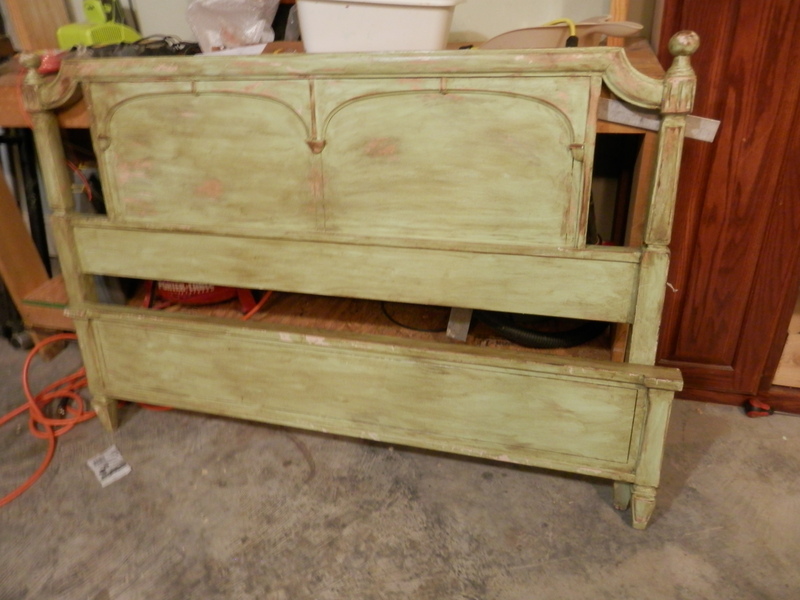 I painted, distressed and dark waxed a full size bed over a year ago for my daughter, who is a professional photographer, to use in a Christmas photo shoot. Recently she gave it back to me so that she could take the full size bed that I showed in a previous post. 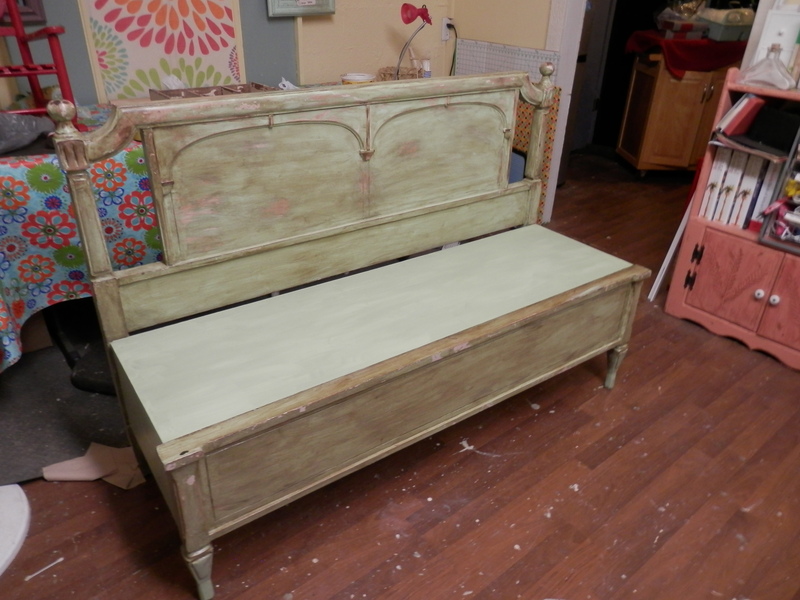 So my husband decided to take on another project and make the bed frame into a bench. This one he did a little different. 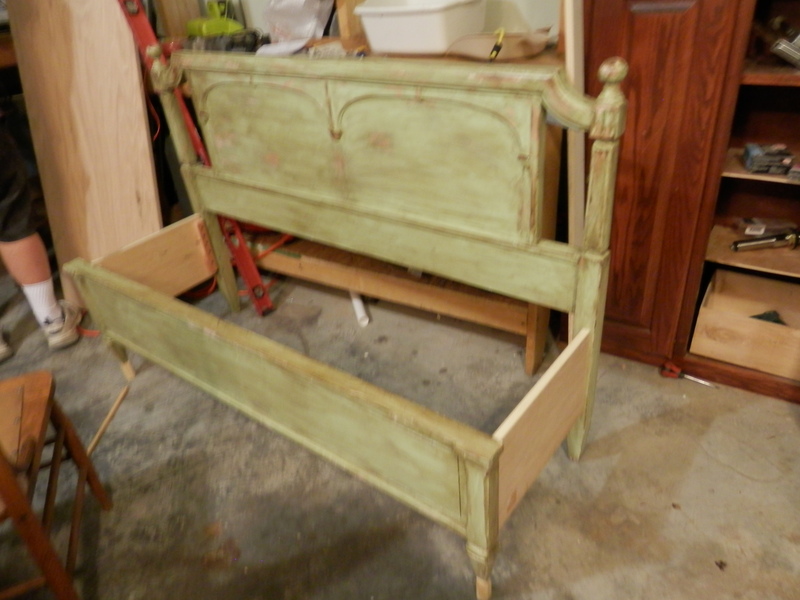 He used the footboard in the front of the bench and made the sides for it. 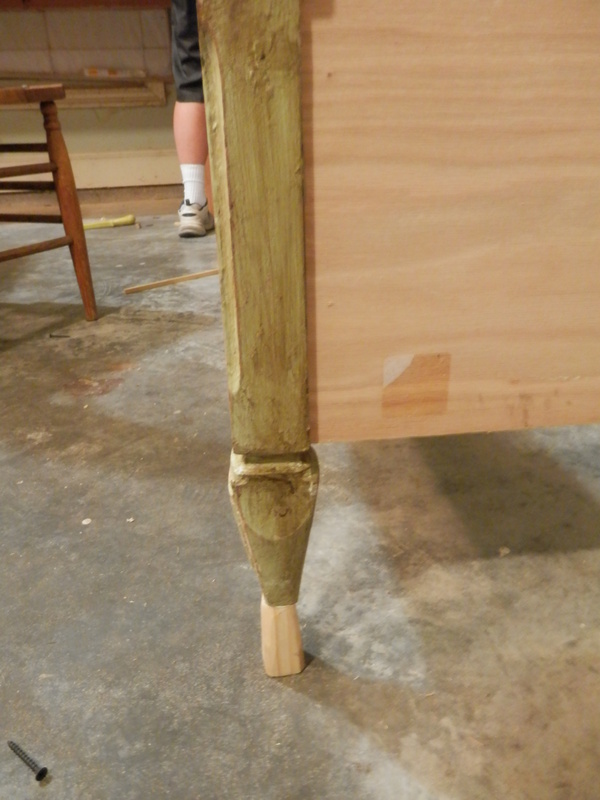 Since this footboard was so low to the ground he had to add to the legs to make it a better height for sitting. It seemed like it would be an easy project for me since it was already painted – all I had to do was refinish the new wood to match. It ended up a little bit more of a challenge because I put on the wrong finish – a black antique glaze instead of the brown dark wax which I had used before. I had to paint and wax the new wood twice but it all worked out. I found the perfect pillows and cushions to put on it at Lowes. 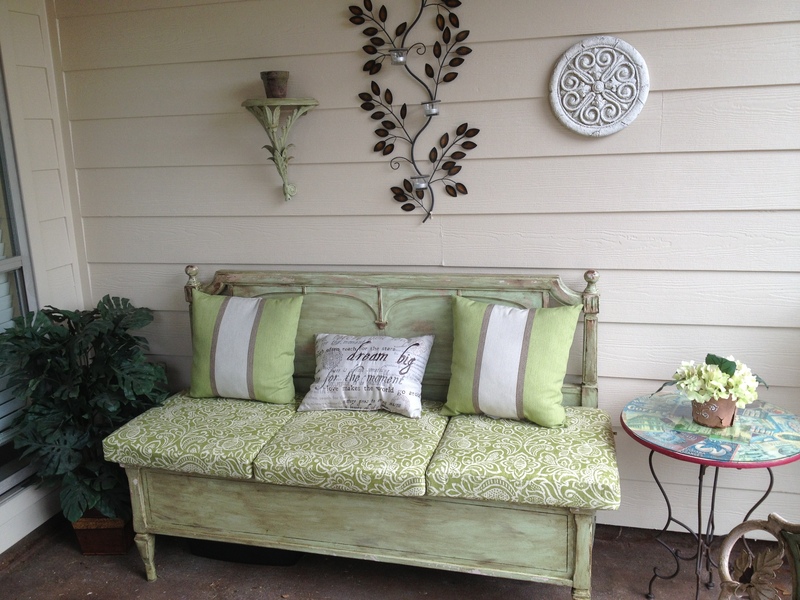 Then the best part of the whole project was when I realized this bench would have a perfect home – Our patio! 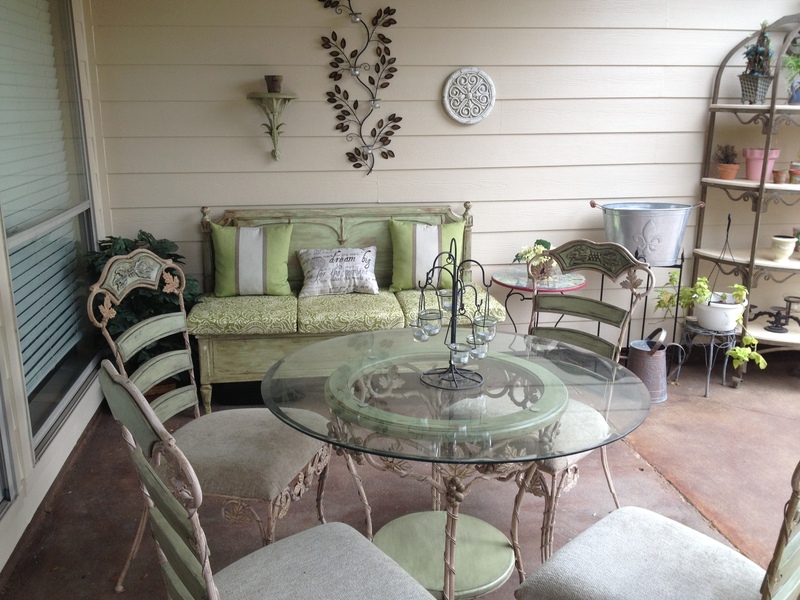 It matched perfect with the table and chairs that I had refinished a year ago.